The hit series is back, to charm and inspire another generation of baby-sitters! 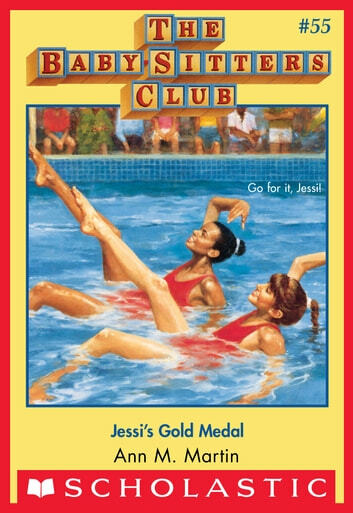 Jessi is honored--and surprised--when she's asked to participate in a synchronized swimming competition. Sure, Jessi knows ballet. But water ballet is a different story. All that swimming is hard work! Jessi and her partner practice their routines over and over again. Everyone--especially the Baby-sitters--is expecting them to win the gold. But Jessi's not so sure she can do it . . . The best friends you'll ever have--with classic BSC covers and a letter from Ann M. Martin! This book was OK. I would recommend this book to fans of the other baby sitters club books. I think if Jessi is your favorite character then you would like this book.I would recommend this book for ages 8 plus.